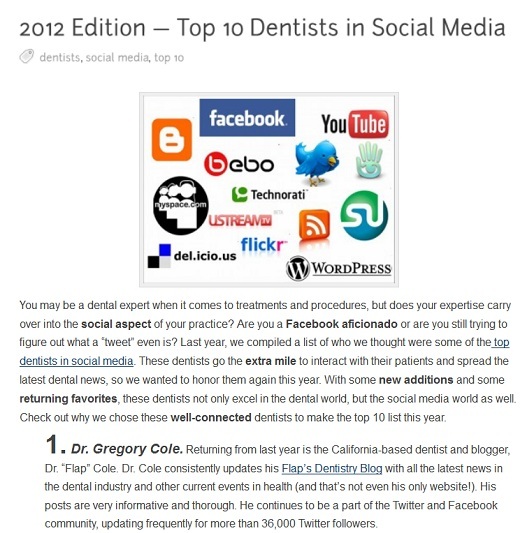 A list of top dentists in social media has been released. And, I am happy to report that I have been named number one this year! Thanks to 1dental.com for their kind comments.